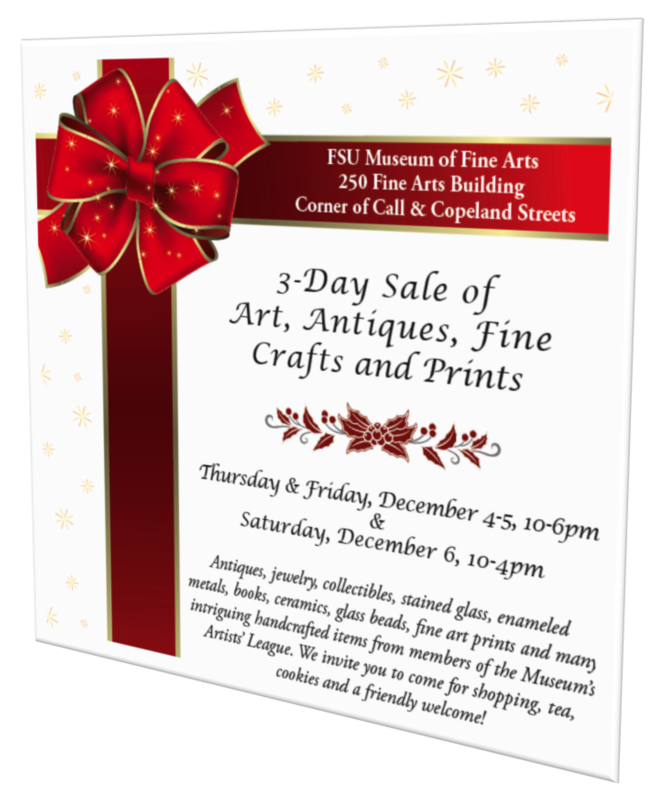 Each year the Museum of Fine Arts hosts an Art & Antiques sale: the annual Fair helps MoFA raise funds for programming and hospitality while at the same time supporting regional crafts and providing space for antiques dealers who are also donors to the Museum. The Fair is a most welcoming event with no admission fee—lots of tempting pastries and cups of tea for shoppers. Gifts and collectibles are one of a kind handcrafted fine wares as well as antique items and mementoes. There is also a colorful selection of prints and drawings for collectors. In the foreground is Mike Weinbrecht’s “Worthless Art” made of salvaged wood. 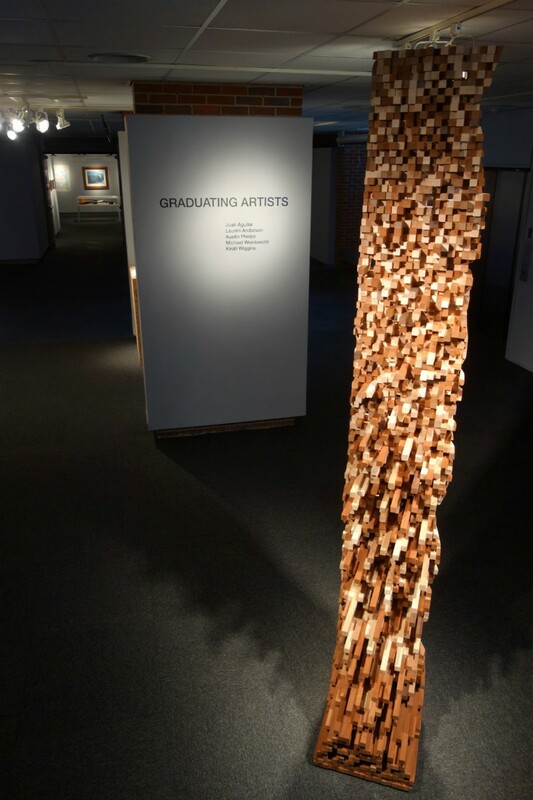 As the Fall semester draws to a close, MoFA hosts another exhibition of Graduating Artists: their installation incorporates new work that even their peers may not have had the chance to see. Visitors and family congratulate this latest class of BFA graduates as they set out for life beyond the university studio. The exhibit will begin November 21st and last through December 10th. Both the Art & Antiques Fair and the BFA Graduating Artists exhibitions are a nice conclusion to a very busy semester. The MoFA staff extend a warm welcome.